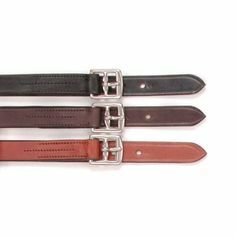 Plain edge made of full grain leather with buckles. An excellent schooling leather with numbered holes. 1" wide. Sold in pairs. Adult & children sizes.